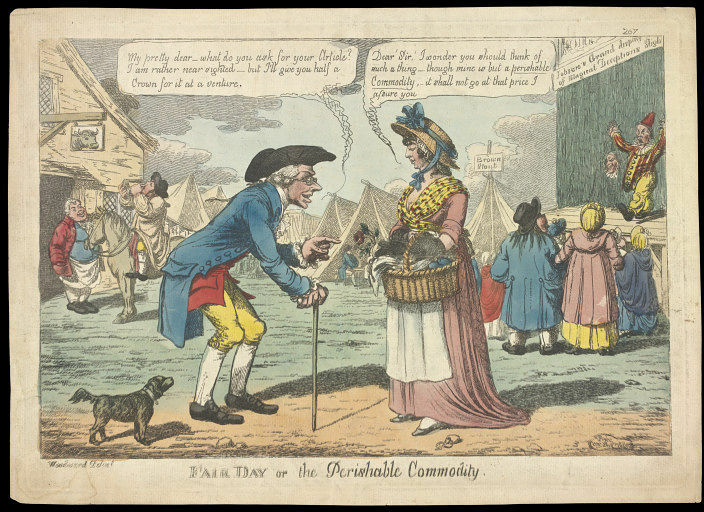 Print entitled 'Fairday or the Perishable Commodity'. The perishable commodity being discussed here is the young woman's virginity. 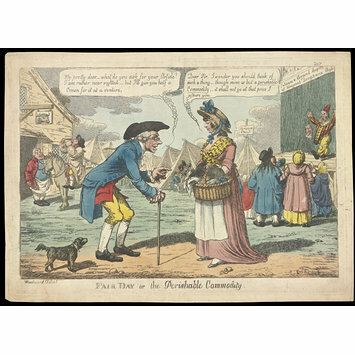 The "double entendre", a phrase with two meanings, one of them often indecent, was a mainstay of the caricaturist's art. The inscription in the bottom right hand corner shows that this print would have cost one shilling (five pence) when it was new. Hand coloured etching entitled 'Fairday or the Perishable Commodity'. 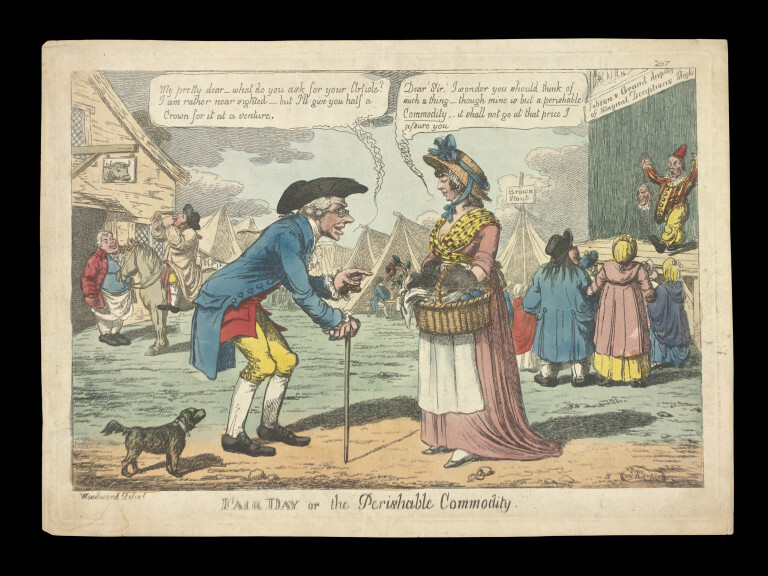 Print entitled 'Fairday or the Perishable Commodity', 19th c. George Speaight Punch & Judy Collection.